PVP is an important part of the battle of the immortals. To prevent the players from mass PKing other players. 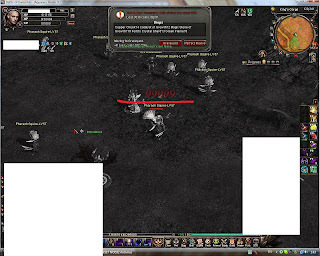 The system of infamy, jail, and Odin strike has set in place to discourage the mass pvping. However, there are still items and methods available for you to avoid such penalties. This guide will discuss some of the main things that you should know before starting to PVP. You infamy points is generally increased by 10 if you kill a green named player. If you kill someone who is lower level by you for 21-40 levels, your infamy is increased by 15. If you kill someone who is lower loevel by you for 41 levels, you infamy is increased by 20. When you die while having more than 60 infamy points. There is a huge chance that you will lose a good chunk of your coins, inventory items, and gears. When you die either by other players or monsters while having infamy points. You can avoid it by using perfect revive which will cost 100 ZEN. You get sent to jail and will generally having to wait until your infamy points clear naturally. Dew of Atlantis in Alms shop for 10k alms can lower your infamy points by 10. Cloak of Protection sold in cash cash shop can prevent you from dropping coins/items. You can get out jail early if you have 20 infamy or less. You do so by killing one of the jail guard that looks like an eyeball. Once you reach this threshold. You will take 99,999 damage from Odin and will most likely be dead and sent to jail. Below is a screenshot taken from Boi Forums posted by faust5. When you have been sent to jail from this punishment, you will sit in jail for roughly 500 to 1,000 to clear out your infamy points at 1 or 2 infamy points per 10 minutes.